Refuse could not be collected from rural and hard to reach areas of north east and central Fife on Tuesday morning due to “an unusually high level of breakdowns” affecting Fife Council lorries. The issue involved new, smaller refuse vehicles bought specifically to service rural roads. Refuse vehicles on rural routes in North East Fife are all off the road due to breakdowns. If your bins are due for collection this week, please leave them out and we will service them as soon as possible. Apologies for any inconvenience caused. While repairs have now been carried out, the problem has led to a backlog with collections and people have been advised to leave their bins out. The council said it hoped to have caught up by Thursday morning. We are back up and running. Sorry for the inconvenience.The disruption was only for the 1500 properties in rural/hard to reach areas and we've now fixed the issue and are catching up . All other services were unaffected. The public was alerted to the issue on Fife Council’s Facebook and Twitter pages at around 9am on Tuesday. It said: “Refuse vehicles on rural routes in north east and central Fife are all off the road due to breakdowns. The council apologised for any inconvenience caused. 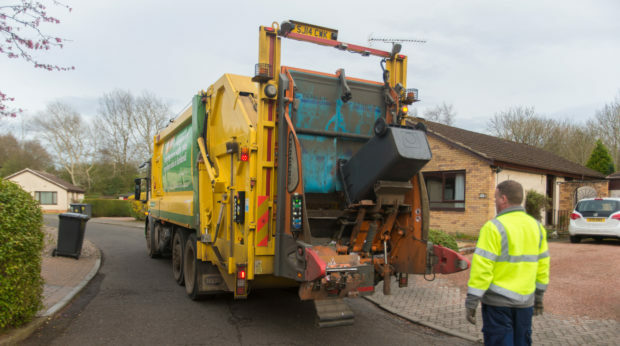 Senior manager John Rodigan said: “We have been experiencing an unusually high level of breakdowns in the smaller refuse collection vehicles that service rural and hard to access properties across Fife.